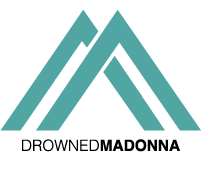 We originally didn’t want to ruin the surprise, but since it has been rumoured, we at DrownedMadonna.com can definitely confirm that Madonna performed “Borderline” during The Tonigh Show with Jimmy Fallon to be aired tonight. “It’s because Borderline is Jimmy Fallon’s Madonna favourite song”, our source told us. Madonna got her first top 10 hit on the Billboard Hot 100 chart with “Borderline” 32 years ago this month!!! Happy 30th birthday True Blue!